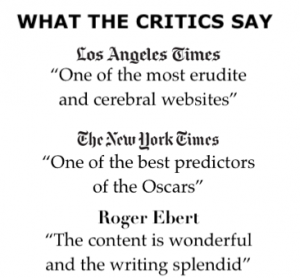 Produced and directed by Frank Lloyd, this stirring sea adventure is based on the true story of the famous 1787 mutiny aboard the British ship HMS Bounty. 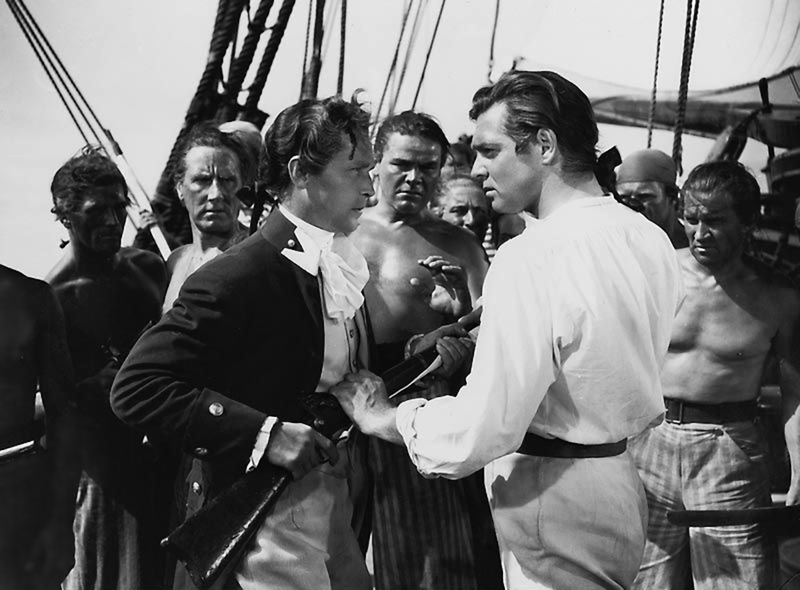 A reworking of Errol Flynn’s 1933 adventure, “In the Wake of the Bounty,” Lloyd’s version tells the story of the successful mutiny of part of the crew, which took place in the late eighteenth century in the South Seas. 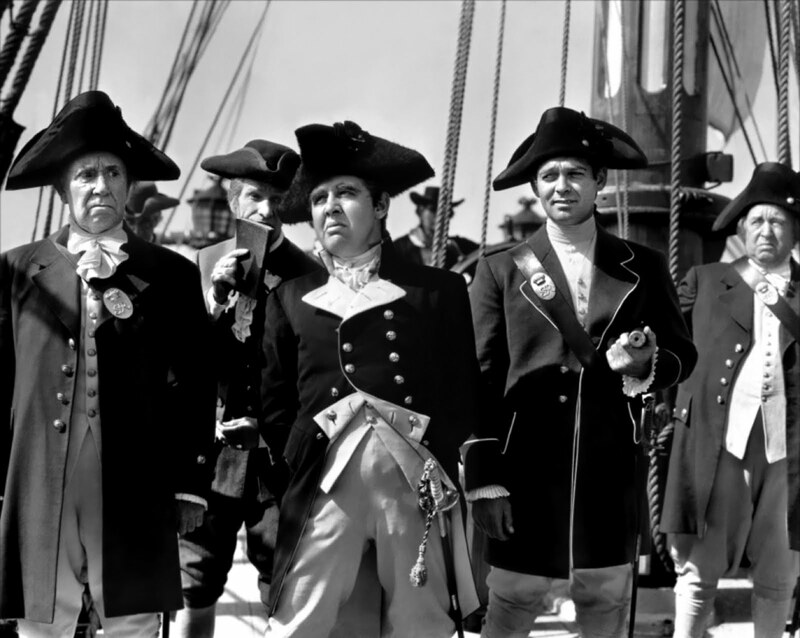 Captain Bligh (Charles Laughton) is a brutal tyrant who administers harsh punishment to officers and crew members alike for lacking discipline or causing minor infractions in defiance of his authority. 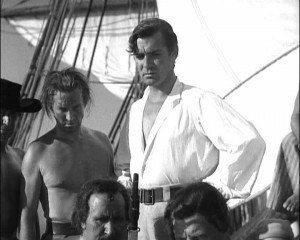 Christian Fletcher (Clark Gable), the compassionate officer, disapproves of Bligh’s treatment of the crew. 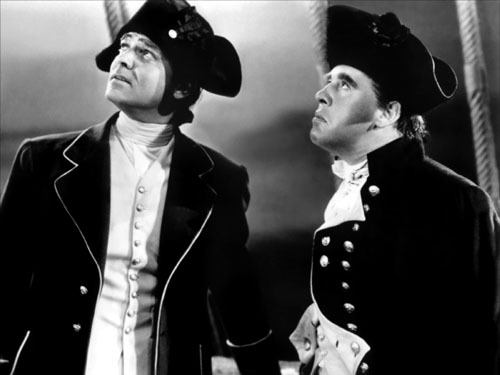 The film’s third protagonist is Roger Byam (Franchot Tone), an idealistic midshipman divided between his loyalty to Bligh, due to long family naval tradition, and his friendship with Christian. During the voyage, the enmity between Christian and Bligh grows after Christian openly challenges Bligh’s unjust practices. When the ship arrives at Tahiti, where the crew acquire breadfruit plants to take home, Bligh punishes Christian by refusing to let him leave the ship during their stay. Byam, meanwhile, sets up residency on the island, living with the island Chief, Hitihiti (William Bambridge), and his daughter, Tehanni (Movita Castaneda). Christian disregards the order and spends his one day off the ship romancing a local Tahitian girl, Miamiti (Mamo Clark). After leaving Tahiti, the crew begin to talk of mutiny after Bligh’s harsh discipline leads to the death of the ship’s surgeon, Mr. Bacchus (Dudley Digges), and Bligh cuts water rationing to the crew in order to provide water for the breadfruit plants. When Christian witnesses crew members shackled in iron chains, he approves the mutiny, and the crew raid the weapons cabinet and seize the ship. Bligh and his loyalists are cast into a boat with a map and rations, and due to Bligh’s steady leadership, they are able to find their way back to land. Christian orders for the HMS Bounty to return to Tahiti, despite Byam’s disapproval. Months later, Byam is married to Tehanni and Christian weds Miamiti and has a child; the rest of the crew enjoy their freedom on the island. After long estrangement, Byam and Christian reconcile their friendship. However, when the British ship HMS Pandora is approaching, Byam and Christian decide they must part ways. Byam and some crew members remain on the island for the ship to take them back to England while Christian leads the remaining crew, his wife, and several Tahitians back on board the Bounty in search of a new island whereon to seek refuge. Byam boards the Pandora and discovers that Bligh is the captain. Bligh imprisons him, and back in England, Byam is court-martialed and found guilty. Byam then speaks of Bligh’s cruelty, and due to the intervention Sir Joseph Banks (Henry Stephenson) and Lord Hood (David Torrence), Byam is pardoned by King George III and allowed to resume his naval career. Meanwhile, Christian has found Pitcairn, an uninhabited island that provides refuge from the Royal Navy. When the Bounty crashes on the rocks, Christian orders it to be burned. Done in the big-budget, studio-controlled MGM tradition (Irving Thalberg was the producer), “Mutiny on the Bounty” is the kind of old-fashioned narrative that marked good studio pictures in the 1930s. At the time, the film was praised for its exotic second-unit work. The film features three good male performances: Charles Laughton, as the ruthless and sadistic Captain Bligh, Clark Gable, as the romantic and dashing Christian Fletcher, and Franchot Tone, as the decent officer Byan. 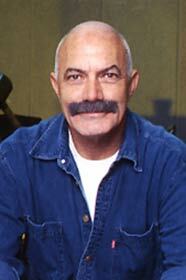 As the charismatic leader of the mutineers, Gable gives a strong performance, though it takes some time to get used to his hairstyle and costume (baggy white pants). Gable interprets the role as a plain American hero who’s rough-hewn but sensitive to the needs of his men. Franchot Tone, in the pivotal role of the highborn officer Byan, is taken back to England to stand trial, and his long courtroom speech is too theatrical (and the only weak element). 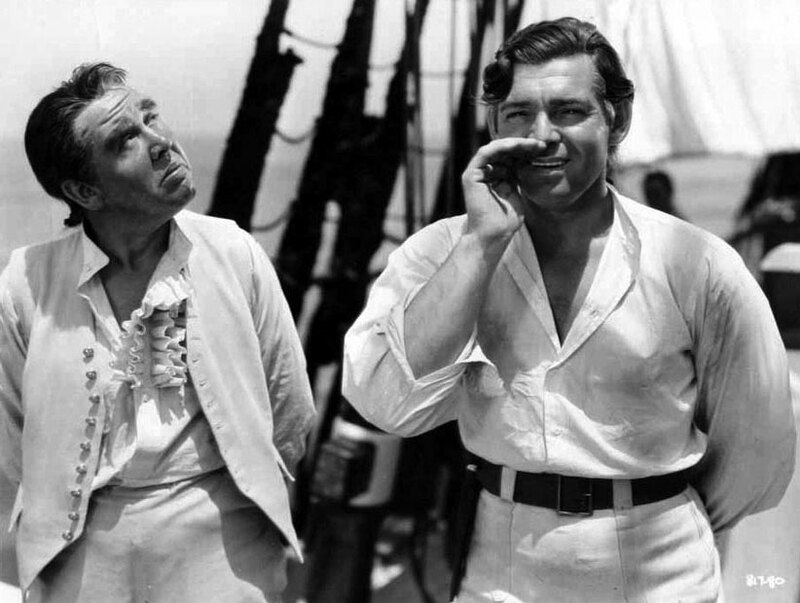 Laughton excels as the corrupt and sadistic Bligh, a great sailor of remarkable feats of navigation who’s borderline mad. Interestingly, initially Laughton turns down the role, but under pressure from Thalberg, he changed his mind and turned in one of his most powerful performances, drawing on his penchant for projecting mad, horrible power. “Mutiny on the Bounty” was reportedly Gable’s favorite film, because, as he said, “It was something you could get your teeth into, for it was history, a story of the struggle of real he-man with a refreshing absence of the usual load of love-interest.” Gable was only partially right since one of the picture’s subplots involves a romance with one of the native girls. In every respect, this movie is vastly superior to its two remakes, the first by MGM in l962, also nominated for Best Picture, starring Trevor Howard in the Laughton role and Marlon Brando in the Gable role. The second remake, produced by D. D. Laurentiss in 1 984 and starring Anthony Hopkins as Captain Bligh and Mel Gibson as Christian Fletcher, is reportedly more accurate to the source material than its two predecessors, but lacks epic scale or excitement. 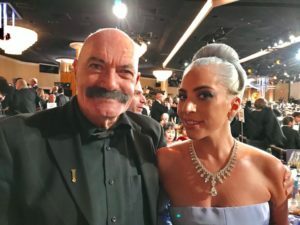 Mutiny on the Bounty competed for the Best Picture Oscar with eleven other films: Alice Adams, Broadway Melody of 1936, Captain Blood, David Copperfield, The Informer, Les Miserables, Lives of a Bengal Lancer, A Midsummer Night’s Dream, Naughty Marietta, Ruggles of Red Gap, and Top Hat. 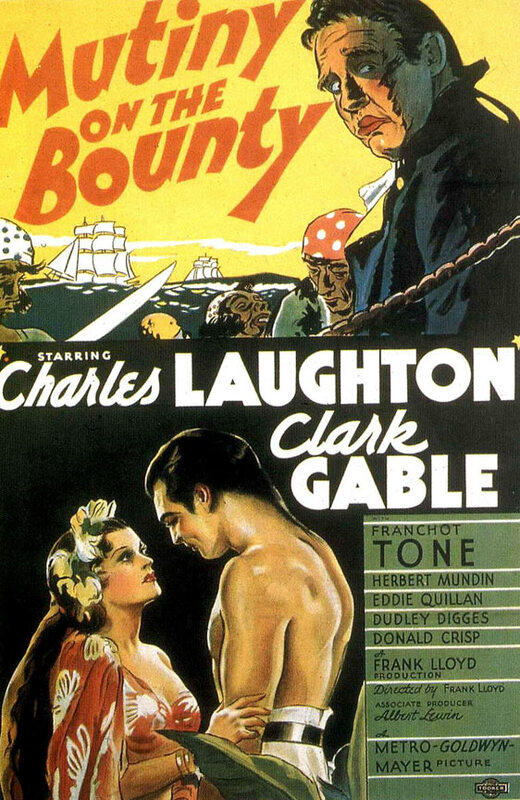 Mutiny on the Bounty is still the only film in Oscar’s history, in which three actors were nominated in the lead category (probably canceling each other out), plus Gable had won the Oscar the year before; the winner was Victor McLaglen for The Informer.